Fall is often the best time of year to travel to many destinations in Europe and across the world, and when it comes to the Loire Valley of France, this area is no exception. In autumn, the Loire Valley is filled with brilliant foliage and fewer tourists, and often has an ideal climate in which to experience it all in. If a glass of fruity refreshing white wine accompanied by a crisp and sunny day among stunning chateaus and famous vineyards doesn’t sound like a good time, you might want to head somewhere else. Some have compared the Loire Valley to the U.S.’s New England in the fall. With the valley a sea of fiery reds, intense orange and beautiful hues of golden yellow, accompanied by the winding Loire River and rolling landscapes, this is one of Europe’s finest autumn destinations. Not only is the region known world-wide for its scenic beauty, it’s also holds quite a bit of historical significance as the stage of the territorial tug of war between the kings of England and France. Consider spending a day cycling along the tree-shaded roads that wind along the river and enjoy a picnic on the riverbanks with fresh produce and goat cheese from one of the many local shops, in between visiting the magnificent castles and vineyards. If you visit the Loire Valley at the start of the autumn season, consider visiting Chateau du Fresne in the heart of Anjou. The vineyard will hold two open days on the 22nd and 23rd of September, that includes tasting the 2011 vintage from Chateau du Fresne as well as sampling the vineyard’s 100% natural grape juice and local gourmet foods. This is also a great opportunity to stock up on the wonderful local Loire wines. Fall in the Loire Valley also means harvest time, with the region’s grapes usually picked from late September through October. This is an ideal time to watch the grapes picked from the vine, with some vineyards offering special harvest tours, including Domaine du Closel in Savennieres, offering a “Harvest Adventure” wine tour during the last two weekends of September and the first weekend of October. During this time, guests can even take part in the annual harvest. While the area’s castles are magnificent all year round, a picture-perfect setting is created with autumn’s spectacular colors. Chenonceau Castle is one of the most picturesque and enchanting castles in all of France. 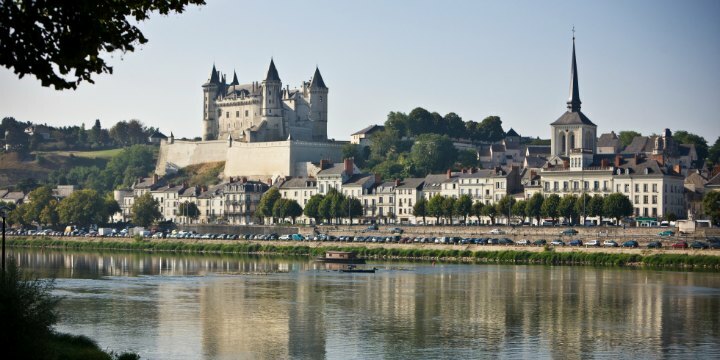 With beauty and a fascinating history of drama between King Henry II, his wife the Queen Catherine de Medici and his mistress Diane de Poitiers, this is a place that everyone should have on their must-see list when traveling to the Loire Valley. Guests can also explore beautiful gardens and visit the resident donkeys. Chateau de Chambord is another lovely chateau that serves as a fine example of Renaissance architecture in France, built over three decades in the 16th century. It’s the largest chateau in the Loire Valley, and especially extravagant with 800 sculpted columns, over 440 rooms and 85 staircases. Chambord is also home to a Nature Museum and fine collections of furnishings and works of art. Currently, there are over 4,500 items in its inventory, including one of the finest collections of tapestries in the entire country. While there are many fine Bed and Breakfast accommodations throughout the Loire Valley, visitors might consider a stay at the highly recommended Le Vieux Manoir in Amboise. While Amboise has all of the amenities of a big city, this 18th century mansion is an oasis of tranquility in the heart of the historic village that is centrally located to many of the highlights of the valley.